Among all the persons depicted in the Gospels, John the Baptist has always been one of the most intriguing of saints. John the Baptist was a phenomenally persuasive preacher - he inspired his hearers to confront their sins and to seek God's forgiveness for them. He was a bit eccentric as well, with his camel shirt and eating locusts and honey. His austerity and total devotion and zeal intrigued all kinds of people, so much so that they came from near and far to hear him preach in the desert. John the Baptist wasn't about sugar-coating anything. He was direct, often blunt and very exacting. Yet, people loved to hear him preach. Even Herod, who was often the target of John's preaching because Herod was having an adulterous affair with his sister-in-law, loved to hear John's persuasive discourse. John the Baptist didn't care who heard his message. At times, his words could sting the hearts of the Pharisees, who presumed to be saved simply because they were of the lineage of Abraham. It's no wonder, then, why John the Baptist is never quoted in Christmas cards. I can just see it now - Hallmark releases John the Baptist Christmas card greetings. One of them could have a picture of this great saint on the front with his camel shirt, eating locusts and honey. Inside it reads, "Wishing you all the best during this holiday season - Repent - You brood of vipers! - Merry Christmas!" This morning, we hear the beginning of St. Matthew's Gospel, which opens with a quotation from another messenger, who lived centuries before the Baptizer - the prophet Isaiah. 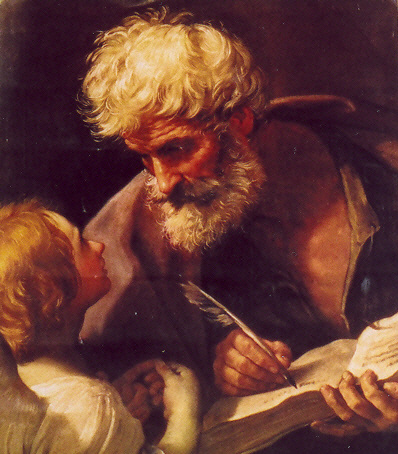 St. Jerome called Isaiah the "Evangelist of the Old Testament" because so many of Isaiah's prophecies pointed directly at the coming of Christ and how He would have to suffer and die like a lamb to the slaughter. We should put this prophecy in its proper historical context. Imagine for a moment, that you are a Jew living in the Holy Land at the time of John the Baptist. For centuries, prophets, kings and other religious leaders had been predicting the coming of the Messiah. Most thought that he would be a political Messiah to deliver the Jews from Roman occupation. When John the Baptist shows up on the scene, he is announcing that the long-expected Messiah would soon be amongst them. When Jesus shows up on the scene, He isn't what many people had in mind. How often is this so true for each of us? Isn't it so often that we expect Christ to make His presence known in ways that our way of thinking and yet so often we see that Christ comes to us in ways that often are quite unbelievable and so very simple. Even in the Eucharist, Christ comes among us substantially, not amidst great pomp and circumstance with trumpets blaring. Rather, He chooses to come among us under the appearances of bread and wine. This is the great miracle of the Eucharist: that even though it is Christ's body and blood present on the altar, the appearances of bread and wine remain even though nothing of bread and nothing of wine are really present. We should not overlook the core message of John The Baptist's preaching: repentance. In Greek, the word is metanoia. It is often tied to conversion, which is not merely a rejection of sin but a desire to take on a new life in the Spirit. Repentance is often mistaken for regret but the two are not the same. Both repentance and regret consider past actions, but they are markedly different. A person who only regrets his past actions may do so because he wishes he could have avoided a mistake or because he wishes the consequences for his past actions were not so grave. A person who is repentant sees his past actions as something more profound - he sees his past actions as sins - disruptions in the moral order. Regret is usually tied to feeling badly about the past. Repentance is an act of the will to want to change one's life. The Baptist does not say "Feel bad!" Rather, he says, "Repent!" Genuine repentance may include regret but regret by itself does not mean that one has rejected sin and desired a change in their life. One can simply feel bad about the past and not want to change their life. In our Gospel today, repentance is tied to the baptism of John as the people actively sought conversion and were acknowledging their sins. John the Baptist claims that his baptism would be that of water while the baptism of Jesus would be of the Holy Spirit. "What's the difference," you may ask? John's baptism, like the rites of the Old Testament were merely symbolic of grace. The baptism of Jesus in the Holy Spirit would be far more than symbolic - this baptism would actually affect change in the person in a permanent way by impressing the mark of "Christian" on the soul. While John's baptism would only signify grace, the baptism of Jesus in the Holy Spirit would actually cause grace. Hence, Jesus Christ introduces a whole new dynamic through the sacraments. No longer would any of the rituals be symbolic or merely sentimental - the rituals of the sacraments would actually become real vehicles for grace. Again, this is most evident in the Eucharist when ordinary bread and wine are hanged into the body, blood, soul and divinity of Jesus or in the Sacrament of the Anointing of the Sick, when the infirm receive not only a spiritual healing but a physical healing as well on occasion. Another type of healing also occurs in the Sacrament of Penance - in confession. This is where we confront our sinfulness, in the tradition of John the Baptist's exhortation. 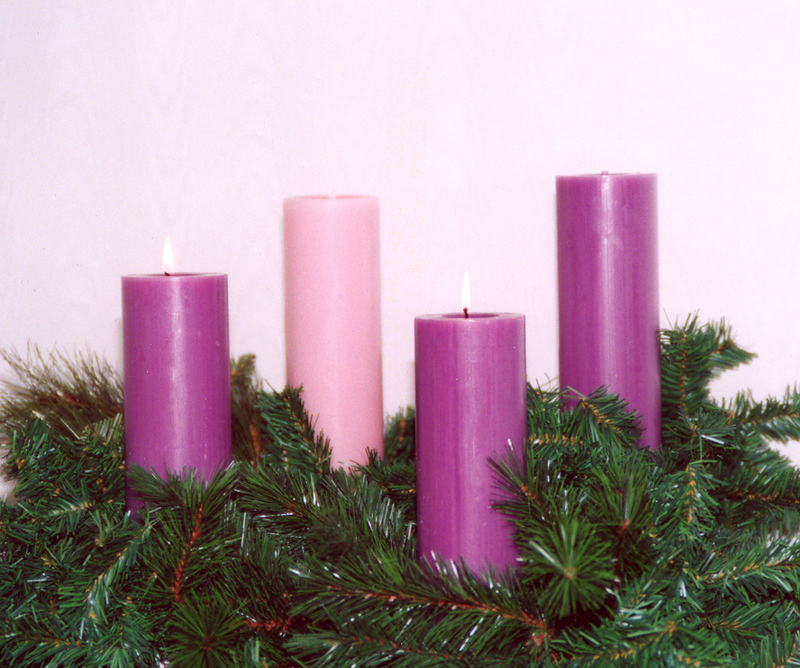 If you have not done so already this Advent, I strongly encourage you to approach this sacrament. In the confessional, the truth is never a problem. In the confessional, real healing occurs - souls are reconciled to God and the Church and once again, we can renew our desire to want to strive to be saints. Confession is not for the saint - it is for the sinner and what better way to start the New Year than by allowing God to wipe clean the slate of our soul. So, in these remaining days of Advent, let us each commit to taking to heart the message of John the Baptist: to truly repent of our sins in order to make straight the way in our hearts. By making a thorough and sincere Confession, we will be better prepared to receive all of the graces of the Christmas season and experience that true conversion and peace that only Christ can instill in our hearts.